The Blue Chip Winter Show Jumping Championships held at Hartpury are coming up in early April. Competing over 5 days will be hundreds of riders from all over the country who have qualified for the Championships. 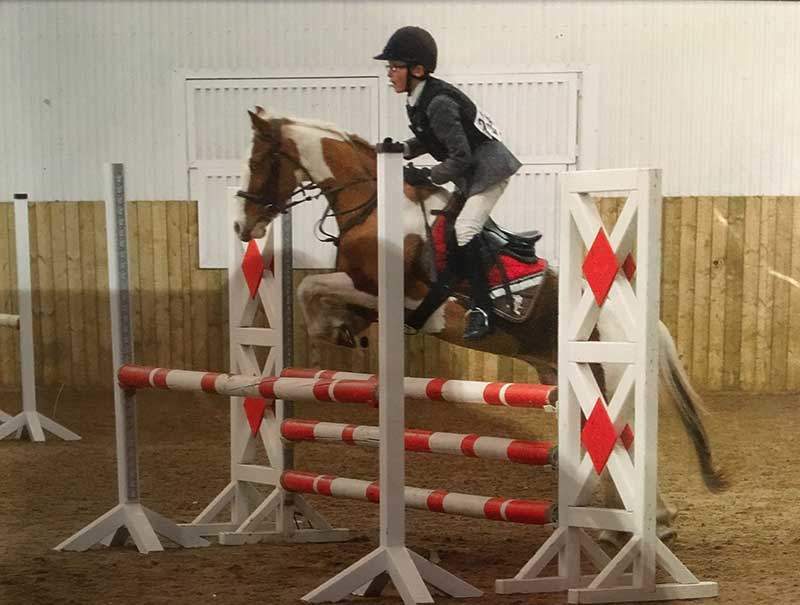 Freddie Ogden-Metherell lives in Redmarley, Gloucestershire and is only 9 years old but has qualified for the Amino Pony Winter Novice Championship on Starlight Piglet, stable name Piggy, a 128cm Skewbald, rising 10. Piggy was home bred by his previous owners and Freddie has had him for the past 2 years. 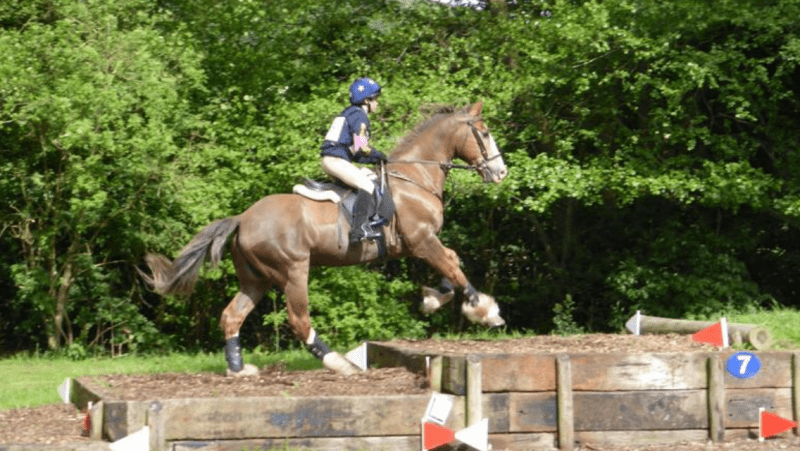 Freddie and Piggy began their BS career 6 months ago but before that enjoyed success at local competitions within the pony club in all disciplines. Freddie is outgrowing Piggy so he wants to gain as much success as possible before the end of the year. He has already qualified for Scope. Freddie’s new pony ‘Polly’ although only 5, won her first Discovery class so the future continues to look promising for this combination too! Freddie, who is at Kings in Gloucester, loves competing! He has only been riding for 2.5 years and is trained by Bryan Smith. He is also training for Pony racing at Cheltenham which takes place a week after the championship next month. He would love to be a jockey as a career but it’s likely he will be a little tall for that! However, as long as horses are involved he will be happy! 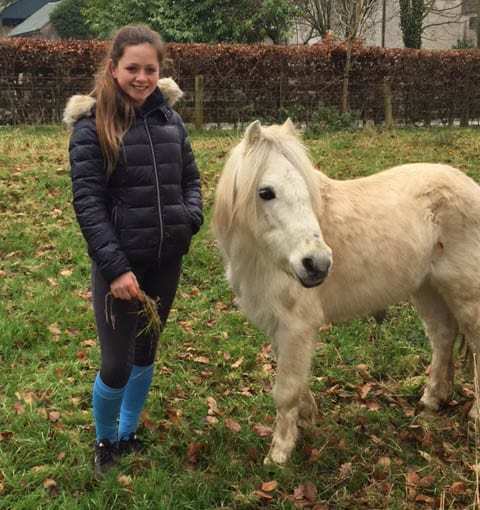 Another youngster to be competing at Hartpury will be 13 year old Olivia Davies from Petty France, near Ledbury, who has qualified for the Horse Quest Uk Novice Championship with her ride ‘Spoonie’ who will compete on the first day of the competition, 5th April. Spoonie, a 15.2 10 year old bay gelding from Ireland, was found 3 years ago by Olivia’s trainer Bryan Smith. Bryan called from Ireland, emailed a picture and said “wire the money!” Bryan says Spoonie is a ‘freak of nature’, because he is the most competitive and talented horse and yet is so kind in looking after such a little girl. Olivia and her Mum Tara will be forever grateful to Bryan for finding him. 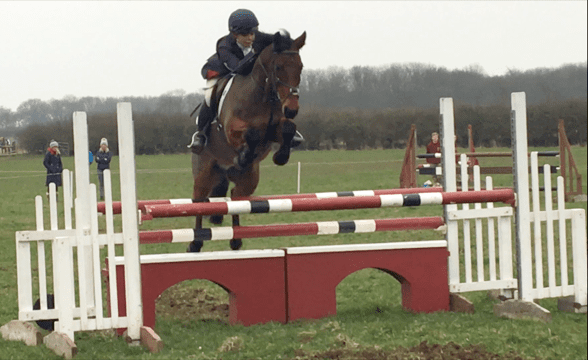 Olivia progressed from a 14.2 to Spoonie last year and is regularly winning and placed at NSEA (National Schools Equestrian Association) showjumping, British Showjumping and Pony Club competitions. A member of the North Hereford Hunt Pony Club, Olivia and Spoonie represented the club at the Pony Club Championships at Cholmondeley Castle in the 90cm class showjumping resulting in 6th place overall for the team. The NSEA Plate Championships were held at Keysoe in November 2016. Despite a tyre blowing out on the M42 and having to persuade the highway police there was no need to shut down the motorway to take Spoonie off the lorry to jack it up because Olivia could keep Spoonie quiet if distracted with a carrot, they eventually made it to Keysoe. There were 3 gruelling rounds and Olivia was last to go in the final jump off. The time to beat was 30.2 seconds and the spectators were leaving the arena assuming nobody was going to beat that and Olivia was told just to go clear, however she put her foot down and after a blur lasting 26 seconds, won the class, a great result for such a new partnership. Next stop is Addington for the Dengie National Championships, having qualified at Hartpury with a 3rd place in round 2.
training. As well as continuing show jumping, Olivia hopes to start eventing Spoonie this season. Also 13, is Charlotte Smith from North Herefordshire, a pupil at Lady Hawkins School & a keen member of the Radnor & West Hereford Hunt Pony club. Charlotte qualified at Pencoed in December for the Blue Chip championships on her pony Jake. They have been a partnership for 2 years & have also represented the Wales & Borders Tetrathlon team competing all over the uk including Kelso in Scotland & Dublin N.Ireland. Hugo Lennard, 19, from Welland, Worcestershire has qualified for the Blue Chip Ariat Star Championship with Reuben James III an Irish bred horse, by Beach Ball, who came over from Ireland 4 months ago. 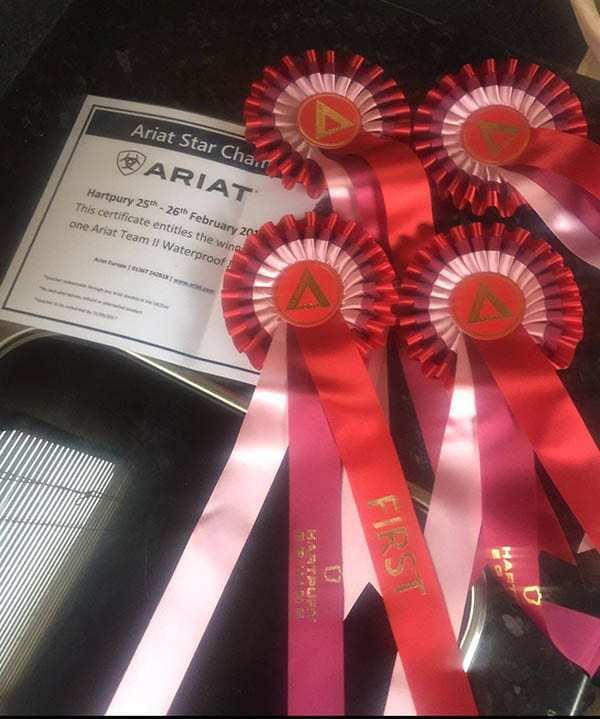 Reuben has had an impressive 15 wins in the first four months since coming over from Ireland and at their first attempt at qualifying, beat over 70 others to win the last Ariat Star Championship qualifier held at Hartpury. Hugo says Reuben has a great turn of speed and scope to burn and ideally would like to get him to HOYS in either the Grade C or Silver League. 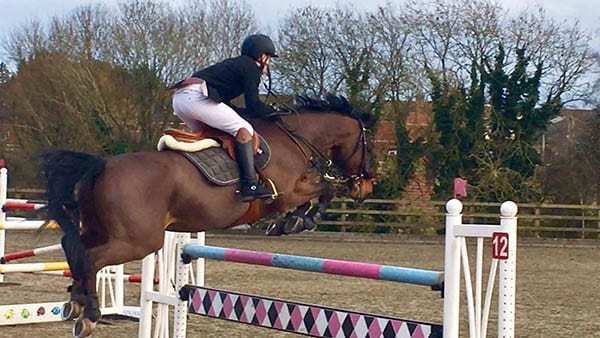 During the weekend of the qualifier at Hartpury, Reuben won three classes and his other horse Vreymoedt had a win in the 1.20m, and more recently was second in a national 1.30m. Hugo is very grateful to sponsors 4CYTE, a revolutionary joint supplement which helps keep his team of horses supple and willing to perform and is also trained by Bryan Smith who has been helping him since the age of 3 and been instrumental in helping find his horses. Saffron Cresswell, ‘rising’ 16, from Malvern, is another teenager making a name for herself. She has qualified Cuffesgrange Clover Z ( Jonjo) for the Blue Chip Championships as well as the Mitsubishi Motors Cup at Badminton. 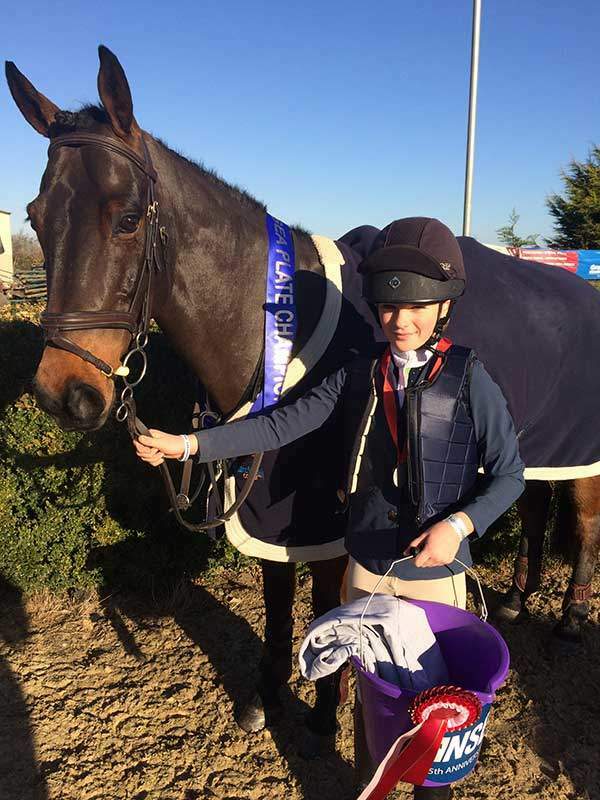 The 10 year old Jonjo is a full brother to Saffron’s European Pony Eventing Championship ride Cuffesgrange Little Ric, who helped the GB team win Gold in 2015 and Silver in 2016 as well as being placed 5th individually both years. The sire of both is a 10hh gypsy pony and the dam a Clover Hill/Ricardo Z mare. Saffron’s ambition is to be an Olympic event rider and she is showing the commitment by riding 7-10 horses a day while still at school. She takes her GCSE’s in a few weeks time and after that will be going to Hartpury Equine College to study equine business while continuing to compete. 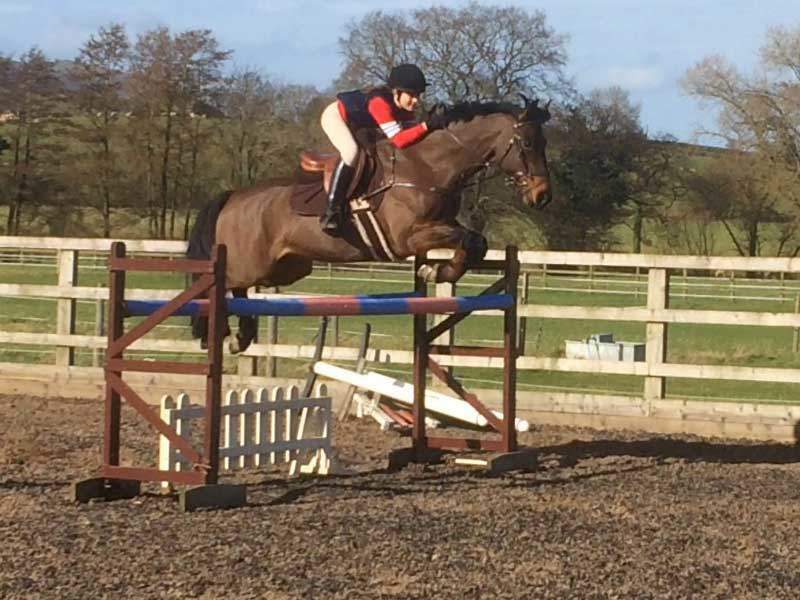 She is sponsored by NAF, Sam Snow Farrier, Harry Dabbs Saddles and Hayley Marsh Physio but is always looking for new sponsors and, at the moment, is offering the opportunity to be part of a syndicate for a home bred 6yo who has just been placed 6th in her first BE event. She is called Miss Diplodocus and has two brothers, all named after Dinosaurs. Saffron produced her first horse to finish the 2016 season with a win in the CIC* young horse class at Aldon and qualified for the young horse equine talent pathway with the BEF. She is also Malvern Young Sports Personality 2016 which is run by Malvern Hills District Council. Keep an eye on these young riders, they are clearly going places!